P7 Labbit T.I.E. Fighter Pilot, a photo by Manly Art on Flickr. It's Friday! And a holiday weekend! 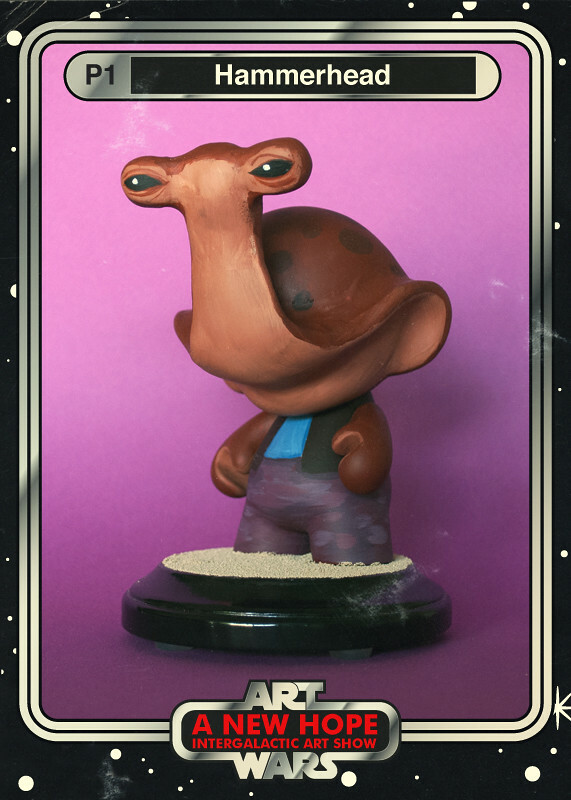 So here's another preview card for our show coming up at Kidrobot NYC in October. This is a custom 10" Lustre Gloss Labbit with a made-from-scratch light-up air filter box thingy. Here's an interactive spin animation of one of my customs. I really like the ArqBall platform. My only gripe is that the image quality isn't a little better. That could be due to the fact that I was shooting this on my iPhone. An iPad might do better. TeeFury- Lo Pan Express, a photo by Manly Art on Flickr. 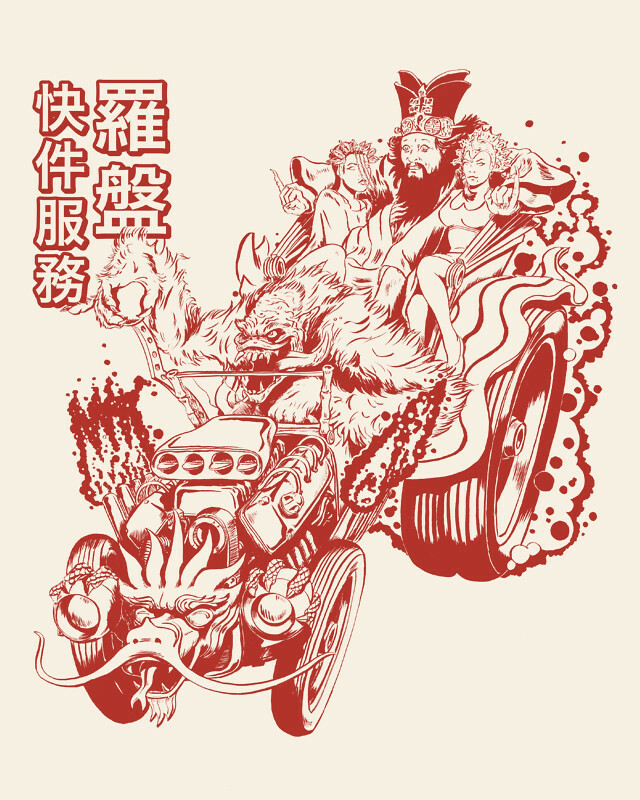 Hey gang, my Big Trouble in Little China inspired Lo Pan Express will be the t-shirt of the day at TeeFury on Thursday, August 23! This is a great opportunity to get one of my favorite designs for a great price. Thanks for all the support! The sale went really well! P1 Hammerhead, a photo by Manly Art on Flickr. 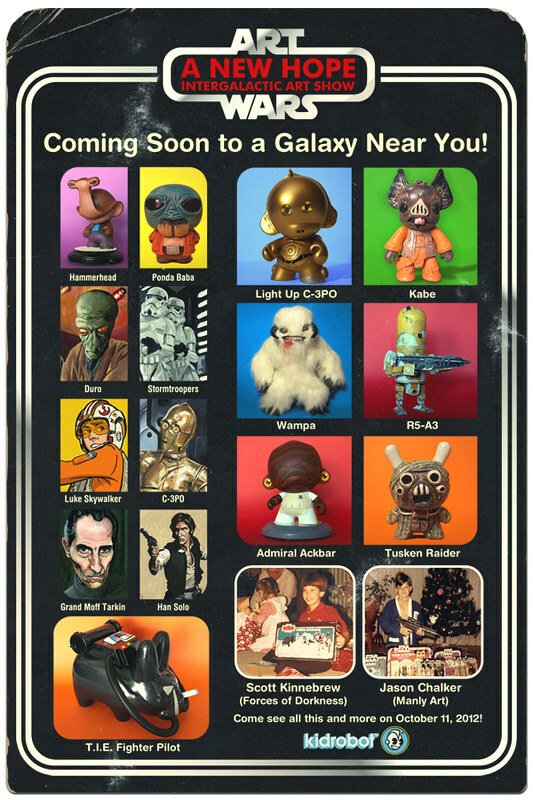 I've sent digital Preview Cards to various toy blogs of pieces from my upcoming show at Kidrobot New York. 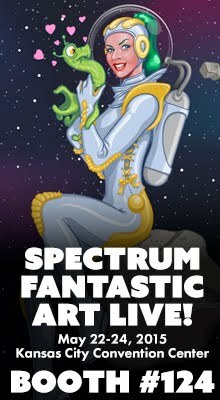 As they show up on said blogs (or I get tired of waiting), I'll post them here for you to check out. This one appeared on Toycutter. 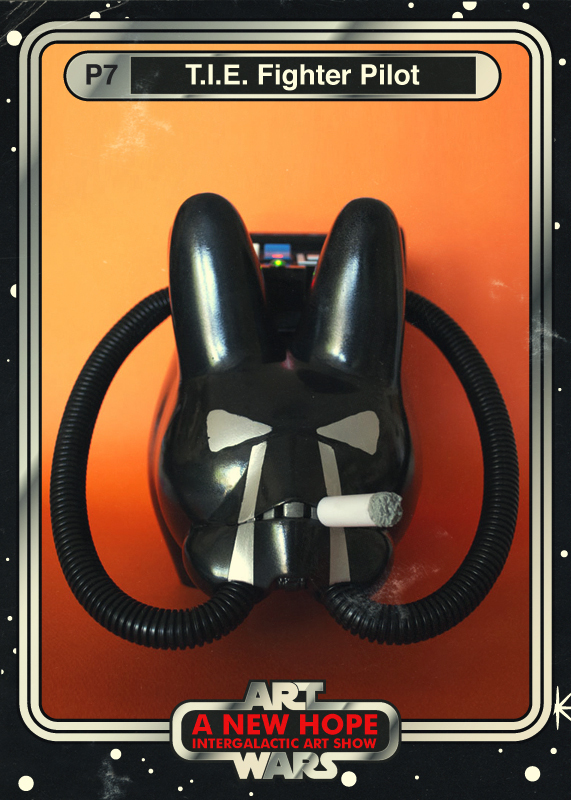 Art Wars: A New Hope Flyer (Front), a photo by Manly Art on Flickr. Scott Kinnebrew and I will be having a two man show at Kidrobot in New York City on October 11th during New York Comic-Con! 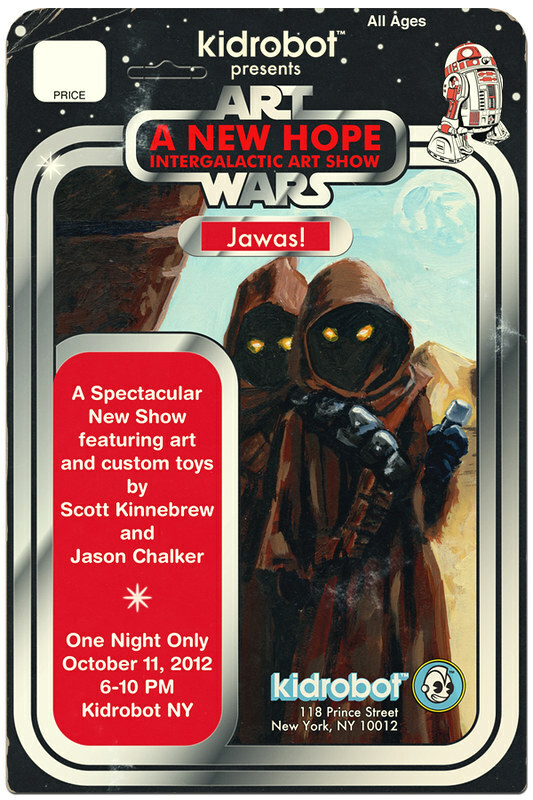 It's a one night only Star Wars themed custom toy and art show. If you'll be in New York for Comic-Con, you should come by. It'd be great to see you! I designed the flyer and it should start showing up around town in late September. So keep an eye out. 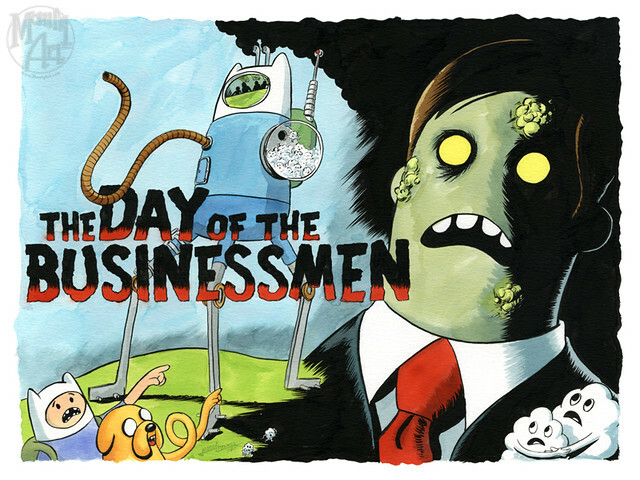 The Day of the Businessmen, a photo by Manly Art on Flickr. This is my second piece for the Adventure Time with Oh No! Doom show opening tomorrow night in Chicago. I really loved this episode ("Business Time"). The businessmen were hysterical. Especially when they charged into battle with business suits and armor. It also didn't hurt having Brian Posehn voicing the lead businessman. 16"x"12" Dr. Martins Inks on 140lb Canson Montval Watercolor paper. There are some amazing artists participating in this show, so if you're in the Chicago area you should definitely get down to 1800 N. Milwaukee Ave Saturday evening. If you're not in the Chicago area, you can join the Oh No! Doom preview list HERE to see all the pieces in the show. 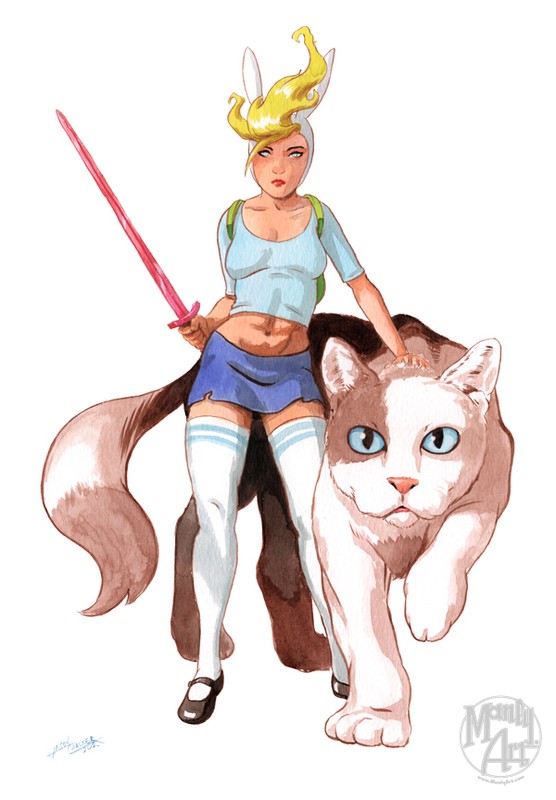 Fionna & Cake, a photo by Manly Art on Flickr. Oh No! Doom has their Adventure Time show opening this Friday night! Here is one of my two pieces for the show. The show has some serious talent, so if you are in the Chicago area this weekend you should definitely check it out! 12"x"16" Dr. Martins Inks on 140lb Canson Montval Watercolor paper.